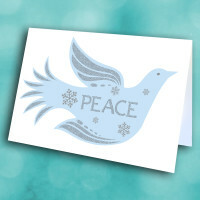 Wish for holiday peace with this elegant holiday greeting card. 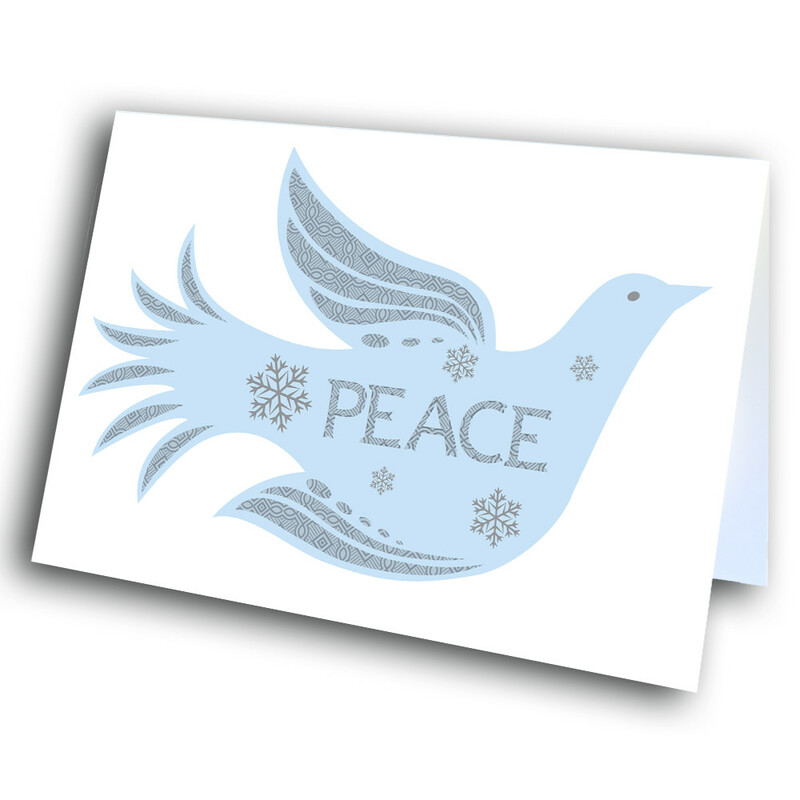 Send a peace holiday card to warm up the holiday season. 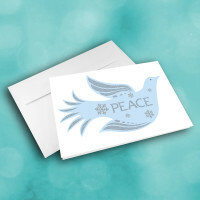 The front is adorned with a beautiful, icy-blue, dove bird, decorated with snowflakes and a detailed diamond pattern. The message of peace sits boldly across the bird's center. 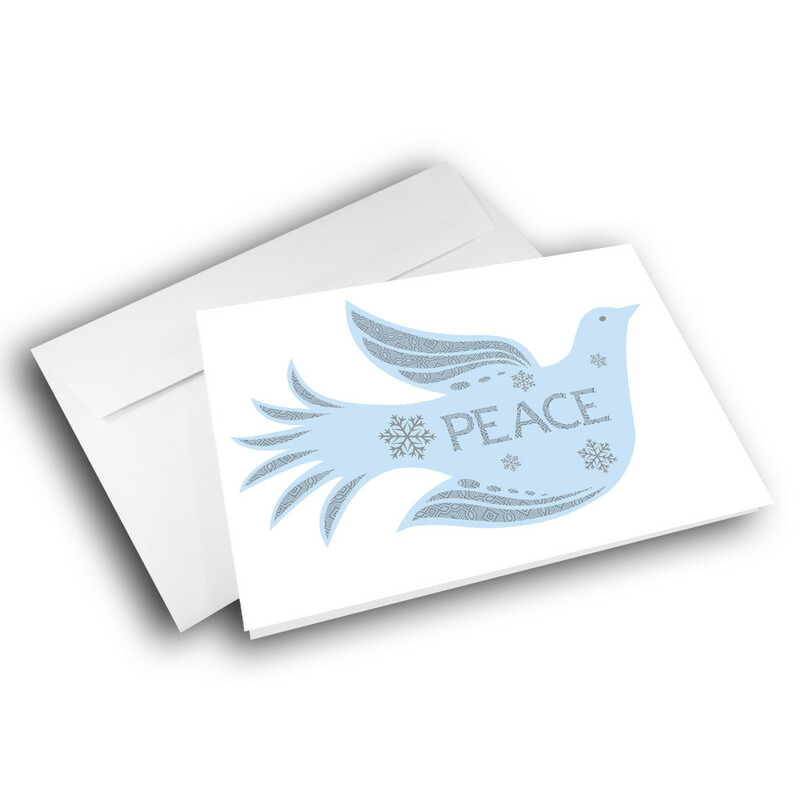 The inside is patterned with the same intricate design as the dove, and displays the classic holiday message. Personalize this message to give the card your unique touch.